Costa Rica, the land of ‘La Pura Vida’, is one of the most diverse and beautifully exotic countries in the world. 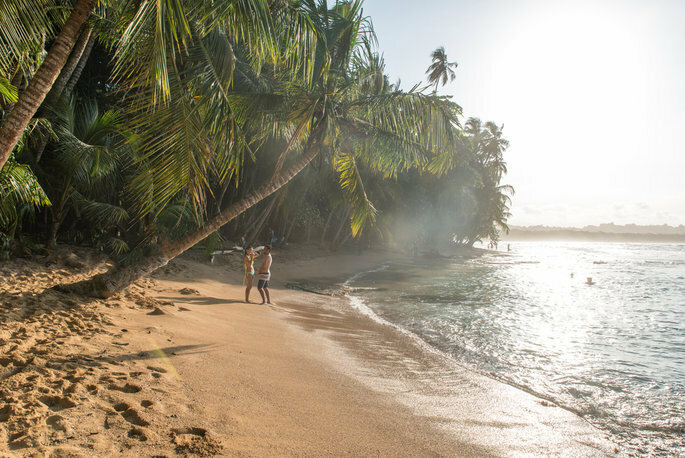 With a vibrant, eccentric and relaxed atmosphere throughout it’s tropical terrain, it really is the perfect destination for an adventurous honeymoon. In Costa Rica, the Eden of Central America that is bordered by Nicaragua and Panama, nature, culture and beach go hand in hand and form a wonderful display of leisure and relaxation possibilities. Its natural environment is one of the most important on the planet, despite the small size of the country (50,000 km²). The 58 microclimates that make it up are responsible for this and nourish the place and animals, responsible for 5% of the planet’s biodiversity. The main attraction of the country is its natural exuberance, evident along every inch of its terrain. 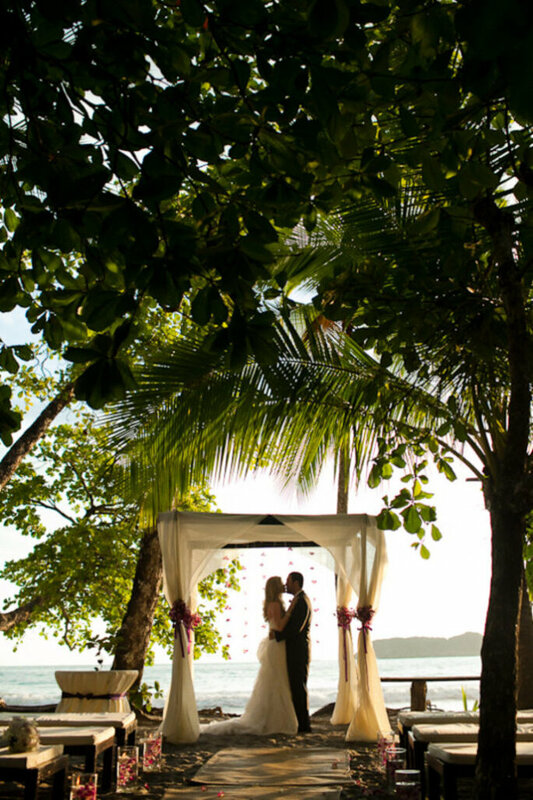 The jungles and humid tropical forests are the most beautiful and spectacular venues for honeymoon experiences. Costa Rica’s vegetation is, despite its grandiosity, protected and cared for through nationwide conservation. For this reason, its 17 national parks and seven biological reserves are unparalleled treasures. Environmental sustainability is a matter of vital importance in Costa Rica. 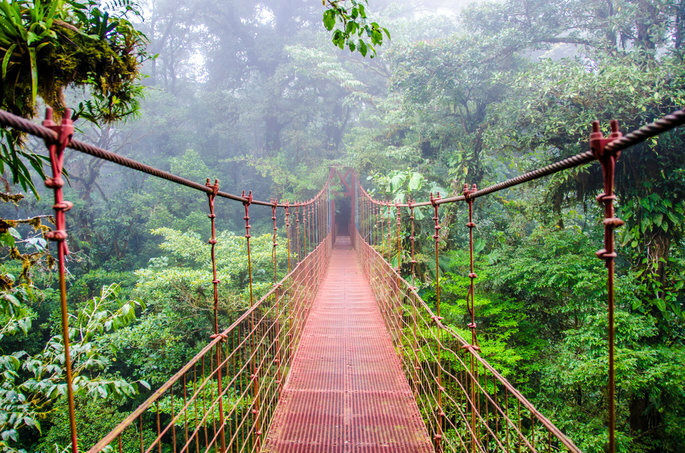 The Monteverde Biological Reserve, the Tortuguero National Park and the Poás Volcano National Park are territories of unusual beauty in which all types of species inhabit. There, among the branches of more than 2000 species of trees, 10% of the butterflies that exist in the world and more than 800 kinds of birds coexist in its sky, among which the colourful hummingbirds, macaws, toucans and quetzals. Blankets, sharks, humpback whales and a plethora of tropical fish share life in their rivers and seas, leaving the surface to a thousand types of orchids and 200 kinds of amphibians, as well as mammals, as varied as jaguars, monkeys, armadillos, sloths and coatis, and many other wonderful species. 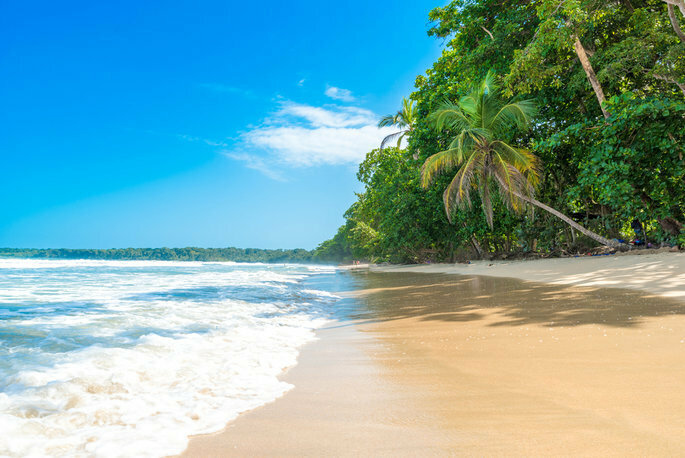 The Costa Rican coast boasts into two stunning relaxation areas, crystal clear waters and a variety of activities for lovers of the marine world. 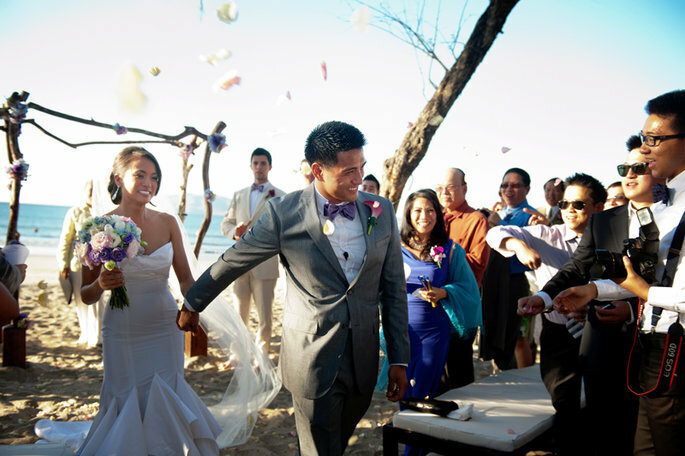 Newlyweds always take delight in the the mixture of water sports and adventures available, followed by romantic walks through Costa Rican paradise. The white sandy beaches that dot the Pacific are met with a paradise of coral reefs and a playground for surfers. On the other hand, the Caribbean Sea offers the warm and more tropical experience. Although most remain inactive, Costa Rica is the main link of the Pacific Ring of Fire thanks to its 100 volcanoes, 10 of which continue to operate. This impressive volcanic activity adds another ecosystem to the variety of environments and situations that honeymooners can discover. The Poás, the Irazú, the Rincon de la Vieja, the Turrialba, Cerro Chato and the Arenal are its main torches. The Corcovado National Park and the Isla del Caño Biological Reserve are two of the highest quality conservation sites with the biggest biological variety on the planet. The first has eight habitats within the park itself, as well as thousands of kilometers of virgin beaches, waterfalls and all kinds of landscapes. The second has a specific specialty in coral reefs, one of the best in the world for diving. In its surroundings, the Kura Design Villas, located in the Ballena Bay, make for a relaxing hotel complex where you can isolate yourself from the world, recover energy and explore unknown territories of the country. To the north, in the San Carlos region, the Chachagua Rainforest Hotel & Hacienda is the perfect space to stay among the fantasies of the jungle, also located in a biological protection area. The Nicoya peninsula (Guacanaste) is specialised in welcoming and enriching tourists that stay in any of its complexes. Esterillos, Jacó, Hermosa and Boca Barranca are great destinations for surfers, although the most experienced tend to opt for the Ballena Marine National Park and the Golfito sector, home to the “long left wave”, one of the longest in the world. National Park of Arenal. 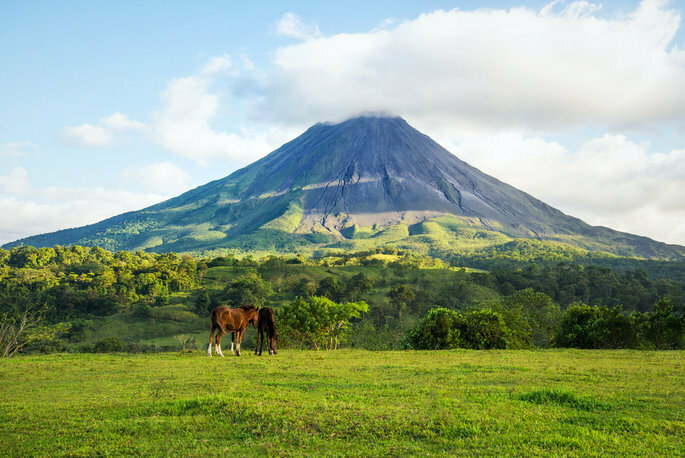 This glorious park stands out for the Arenal volcano, over 7000 years old and 1670 meters high, whose last igneous activity ended in 2010. The park, was opened in 1991 to protect the volcano and its surroundings. The Springs Resort Spa offers accommodation and entertainment services just a half hour drive from the National Park that houses Arenal. The hotel is located next to one of the most amazing rainforests in the world, full of mystique and secrets. 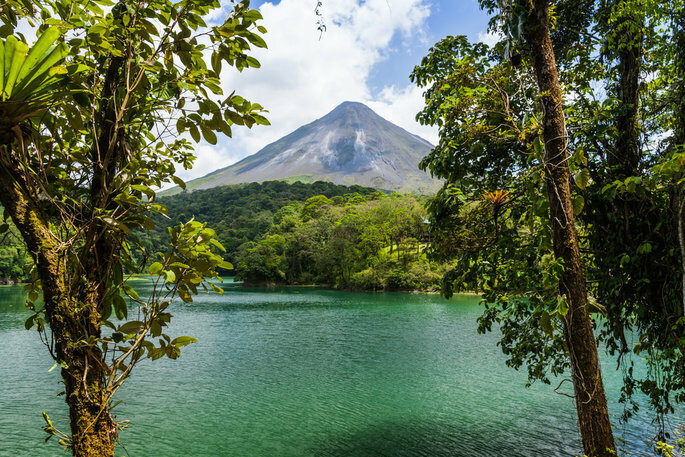 There is also the Arenal lagoon, a source of life that also comforts the Tabacon Grand Spa Thermal Resort with its coolness, a luxury resort featuring hot springs and the cooing of the forest that surrounds it. San José is the capital city and a great place for urban and cultural tourism. It is the least natural part of the country, but full of architectural beauties. The Metropolitan Cathedral of San José, the National Theatre and the Municipal Market are particularly. The coral reef that forms part of the Cahuita National Park is the piece that all lovers of underwater art seek to find, rich in biodiversity and striking colours. At the other end of the country, just three hours by car and 45 minutes by plane, await the idyllic beaches washed by the Caribbean Sea. 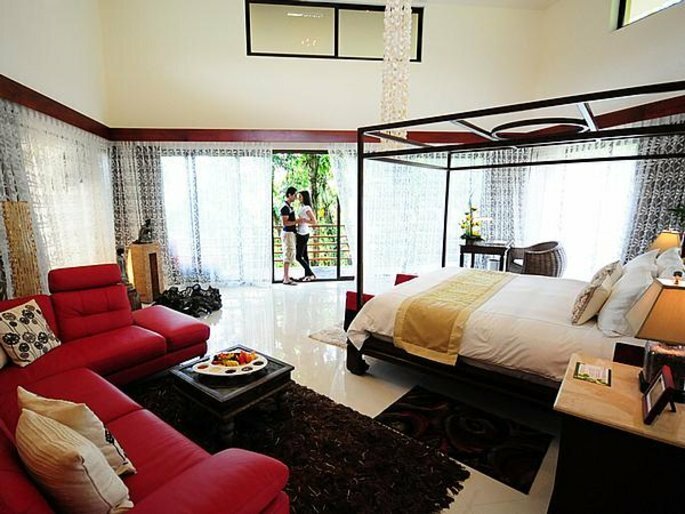 A honeymoon is synonymous with relaxation. 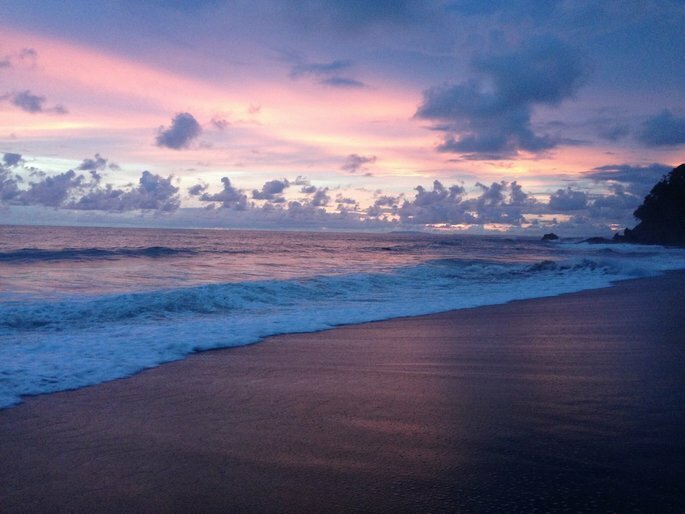 However, incomparable places like Costa Rica deserve an extra effort to make the most of everything it can offer. Activities such as rafting, windsurfing, diving, kayaking, fishing and surfing take advantage of the amazing and varied Costa Rican natural spaces, as vivid and striking on the coast as in the interior of the jungle. The warm and hospitable population of Costa Rica is another of their attractions. Of pre-Hispanic origin, it is a vibrant hybrid culture as, little by little, ethno-national groups and colonies of immigrants have been inhabited the national territory. The most relevant are Afro-descendants, although you’ll also meet Chinese, Hebrew, Lebanese, and Italian communities. There are many Native Indian peoples with a variety of customs, and their most representative are the Bribri, Cabécar, Maleku, Teribe, Boruca, Ngöbe, Huetar and Chorotega. 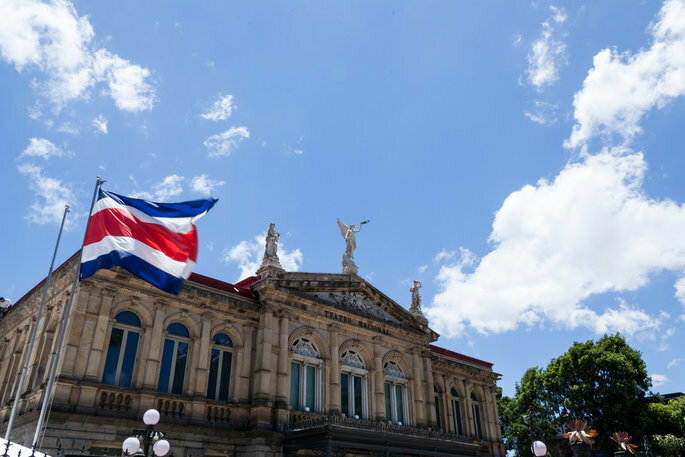 In addition to this privileged multiculturalism and its impressive natural panorama, Costa Rica’s century of democracy and the absence of an army (it was abolished in 1948) have installed peace and harmony throughout the country. All these aspects have allowed the country to hold first position in the Happy Planet index according to the New Economics Foundation. The Central American country enjoys a unique combination of must-see elements, and it is a land full of surprises. The Costa Rica Tourist Office is a great source of information, so check it out to know what’s what. 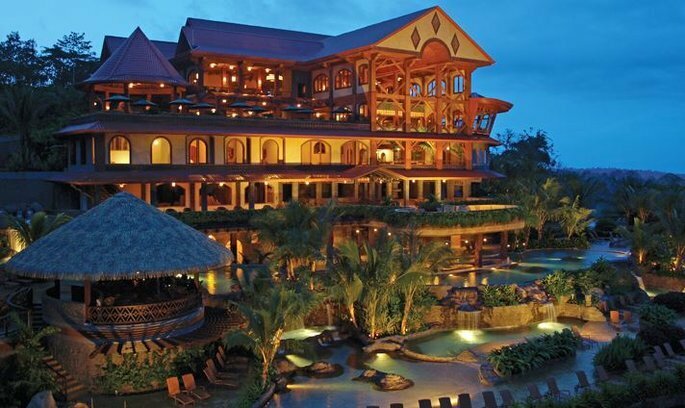 Jet off to Costa Rica for ‘la pura vida’ and enjoy an unforgettable experience.